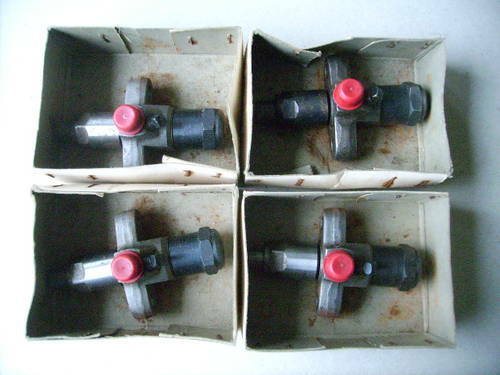 Set of 4 NOS injectors. Make American Bosch. Price €65.- plus shipping. Paypal accepted. 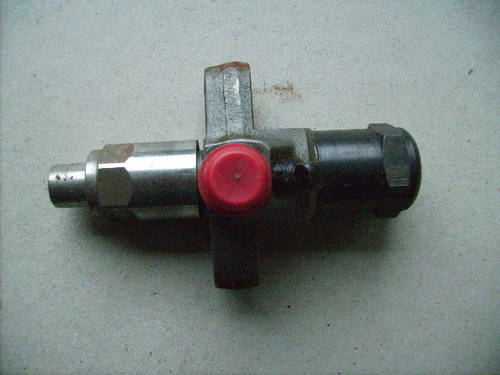 Large stock of -Ignition pointsets -Condensors -Rotors -Distributor caps Bremi/Bosch/Doduco/Lucas/Huma a.o For cars, trucks, tractors, cycles, mowers, horns, pumps etc. 1930 Glass fuses Olvis 20 or 40 Amp. Glass fuses Olvis 20 or 40 Amp. Made in Holland by Olvis. Long 32 mm. Diameter at contact 6.3 mm Box of 100 pcs. €10.-. More available. Also available 40 Amp. 17x7 porcelain fuses. €8.- for 10. S/h extra. For sale NOS on/off switch with metal button. Make AK. Type AK 208 S. Several available. €7.- each. S/h extra. Paypal payment possible. For Sale. 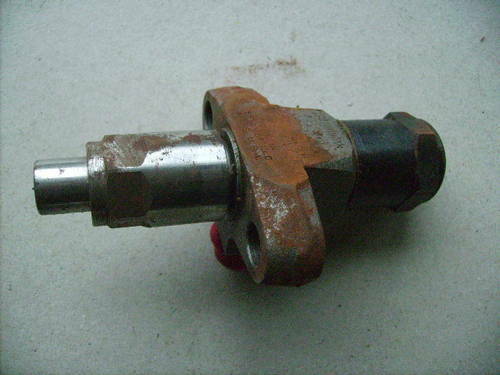 NOS contact pointset for Lucas horn Model WT 614. Lucas set no. 702660. Enzberg no. FO26. Price €8.-. S/h from NL extra. Paypal accepted. For Sale. NOS Contact Pointset for 1930's-50's Delco-Remy horn. 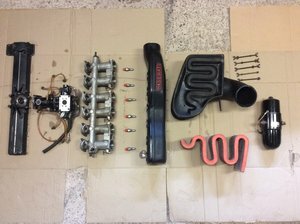 Made in Germany by Enzberg. Enzberg no. DR 31. Bremi no. 1324. Several available. One set €8.-. Shipping w.w. €4.-. Sets also for Sparton, Lucas, Auto Lite horns. Cars, Trucks, Bikes, Outboards, Mowers.